We will make you a vibration specialist! Employee qualifications, knowledge and experience are the basis for a successful maintenance organization. 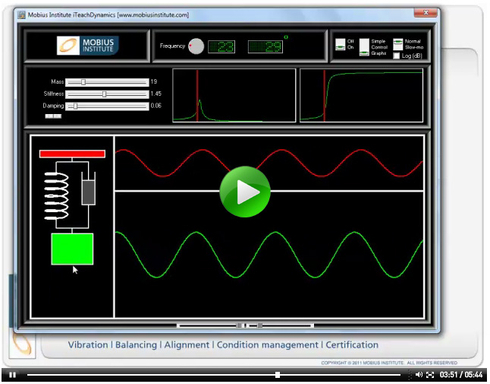 We offer an extensive series of qualification seminars and user trainings for vibration diagnosis. In the field of industrial maintenance, there is an increasing demand for certified vibration experts. In some industries, a certification is even required by national and international regulations. Jason Tranter demonstrates the iTeachDynamics simulator. iTeachDynamics demonstrates how mass, stiffness and damping affect natural frequency. Please click the screen to see the video. Please be patient, the video may take a few seconds to load on slower connections. Jason Tranter demonstrates the Shaft (rotor) version of the iTeachResonance simulator. 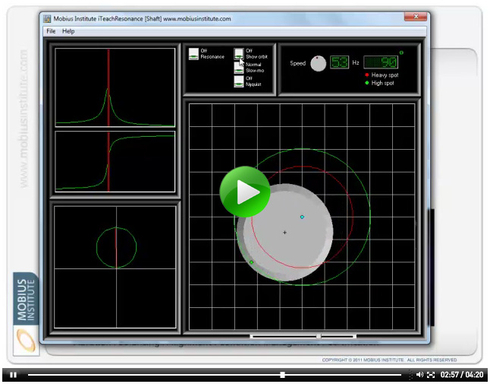 This program demonstrates how mass, stiffness and damping affect the dynamics of a shaft. Please click the screen to see the video. Please be patient, the video may take a few seconds to load on slower connections.